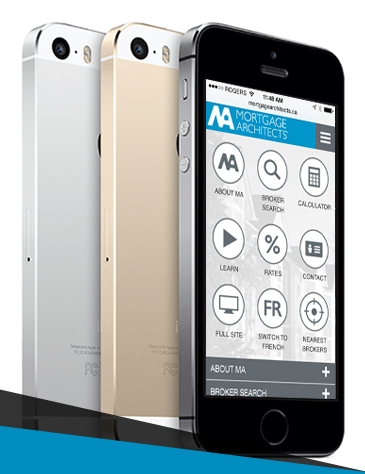 Mortgage Architects is proud to announce the launch of their corporate mobile site. Viewable across all types of mobile platforms, MA’s corporate mobile site provides easy-to-access information and tools such as its popular mortgage calculator. According to MA’s Chief Information Officer Joe Fakhri, “the system automatically detects if traffic is coming from a mobile system versus a desktop therefore rendering the appropriate format accordingly.” Although the new site has launched, it is currently in the pilot phase and further tweaks and changes will be introduced in the next two weeks; thus improving the user experience. To view the recently launched mobile site, please visit www.mtgarc.ca on any web compatible mobile device.